This month, Artisan E-Learning is celebrating its 15th anniversary. I remember those early days fondly where my business partner, Desiree Pinder, and I sat around a dining room table and planned out what Artisan would become. There were also a lot of really late nights around that table since we were still figuring out how long it takes to do things (and learning some of those lessons the hard way!). It has been interesting to see the evolution of this course. The different variations have used different technologies, used different visual designs, and even won awards from eLearning Guild and Training Magazine. 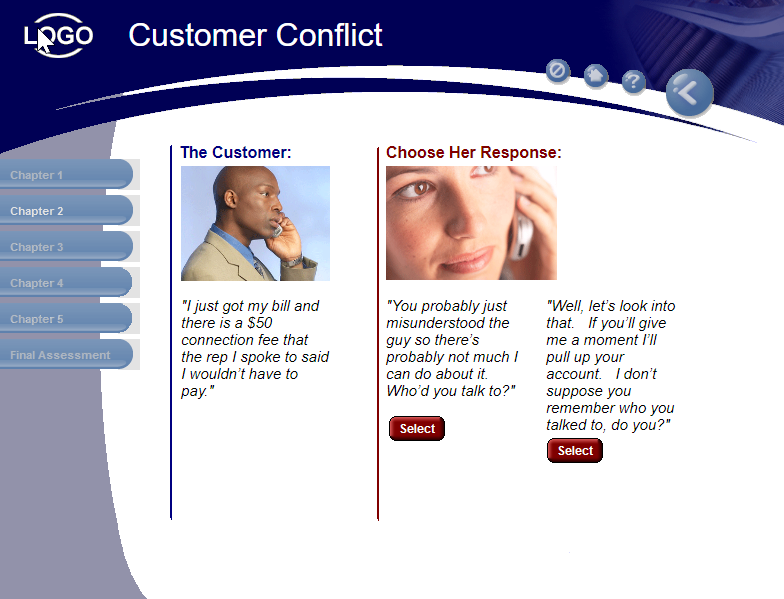 The same Customer Conflict course, rebuilt in Lectora for responsive design. 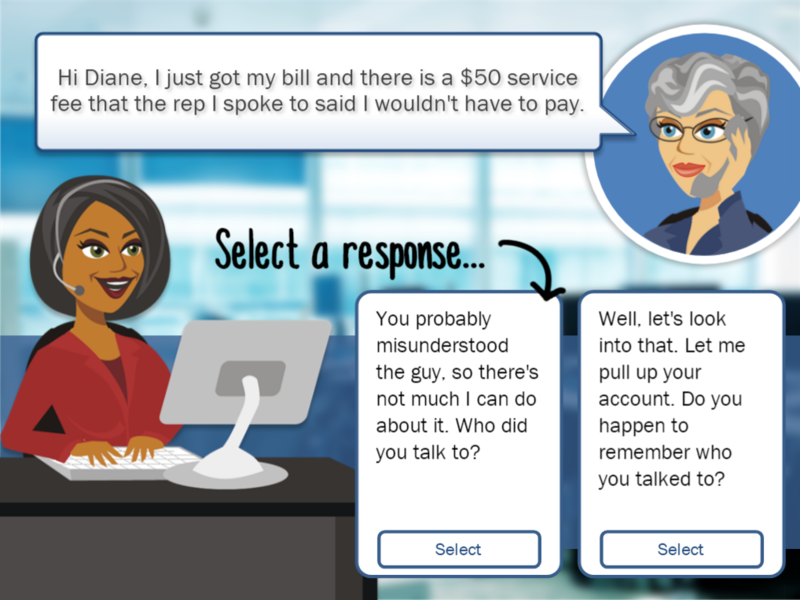 The Storyline version of the course with personalization options and avatars. So what might the next 15 years hold for this particular course? 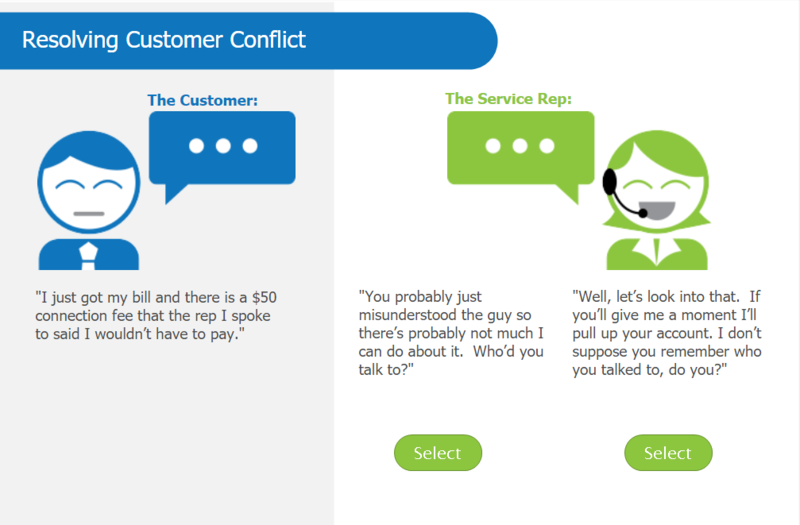 Without even waiting 15 years, this same scenario could use chatbots to mimic customer interactions. We could recreate the whole interaction as an Alexa skill. We could use media tools like Adobe Character Animator or Vyond to create animated characters. But one thing that hasn’t changed and isn’t likely to change is the core instructional design. Changing technologies help us execute our instructional vision in new and different ways, but none of them replace the need for that vision in the first place. If anything, we need to be careful that the latest technology doesn’t replace or simply distract from having a clear instructional goal and using purposeful strategies to accomplish that goal. I’m excited for what the next 15 years hold for the industry and for Artisan. I’m so thankful to all the Artisans (past, present, and future), along with our clients, for making us who we are today…and what we will become. Diane Elkins is the co-founder and co-owner of Artisan E-Learning, as well as E-Learning Uncovered, a company specializing in training services, books, and resources for e-learning development using the major rapid e-learning authoring tools. Diane has been in the e-learning industry since 2001, speaks regularly at national conferences, and is co-author of the popular E-Learning Uncovered book series.